Attention players: It’s time to meet the legendary 4 Goddesses of 4 Goddesses Online! The Cyberdimension Neptunia website has updated with character profiles of Purple Heart, Black Heart, White Heart, and Green Heart! 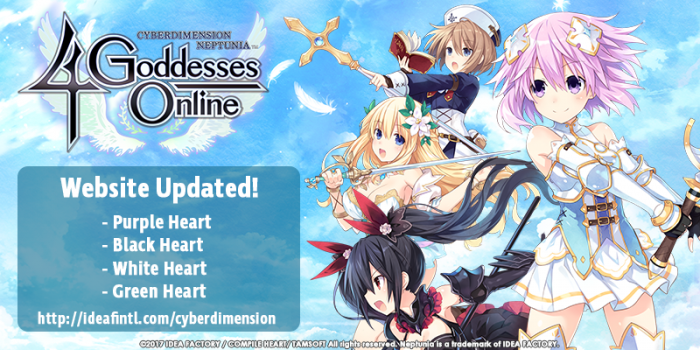 Cyberdimension Neptunia: 4 Goddesses Online will release on the PS4 system October 10 (NA) / 13 (EU). A Steam release is scheduled for early 2018.